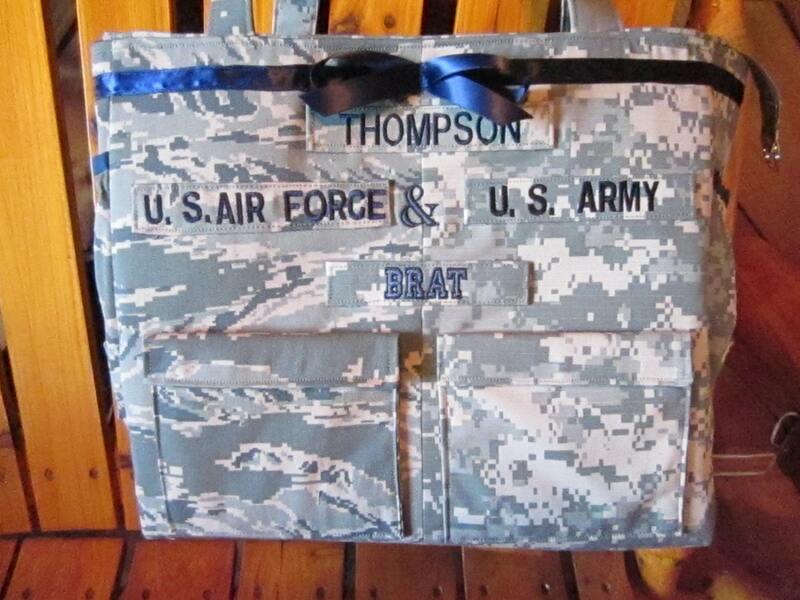 2 military fabric bag. 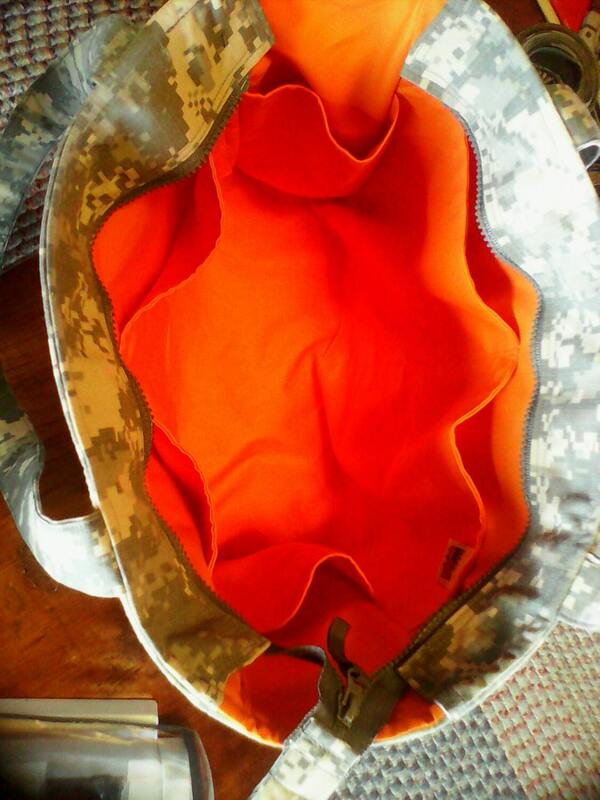 Each side custom built with different military fabric. 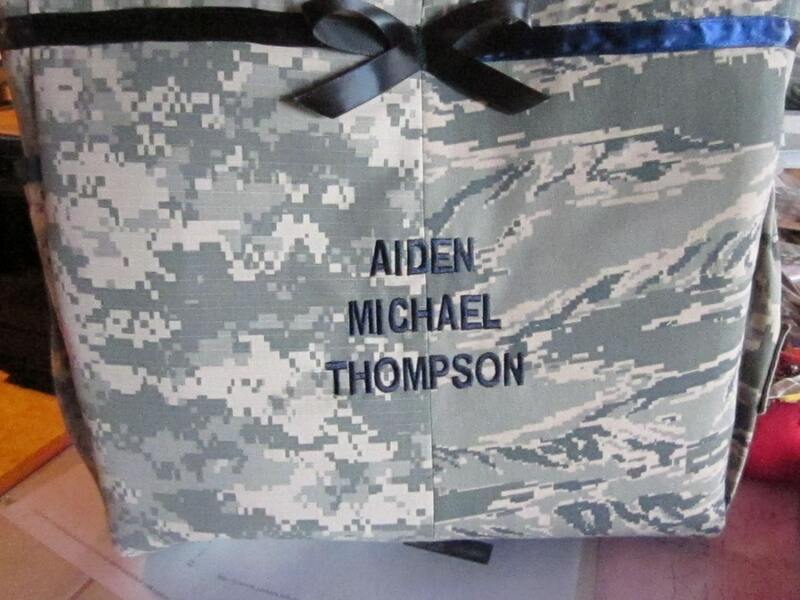 For the 2 military branch family. 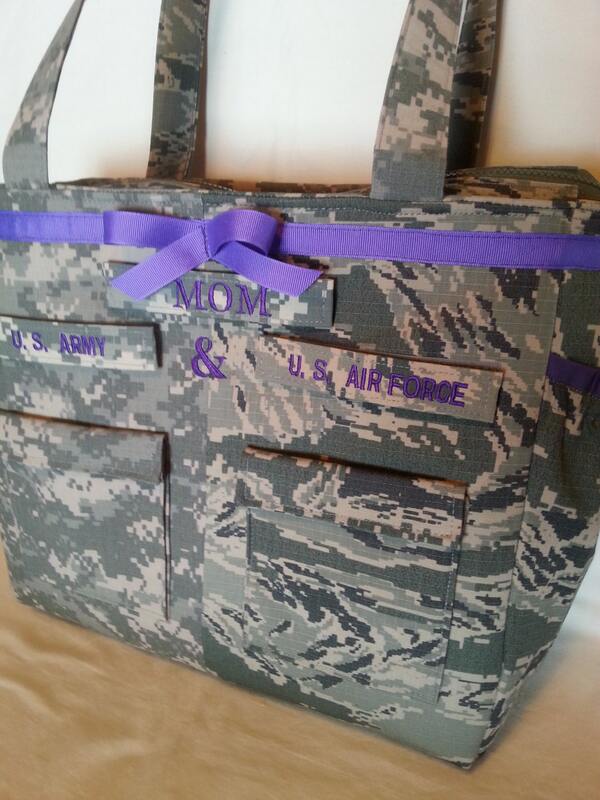 Diaper bag is made to your specifications with the fabrics of your choice. 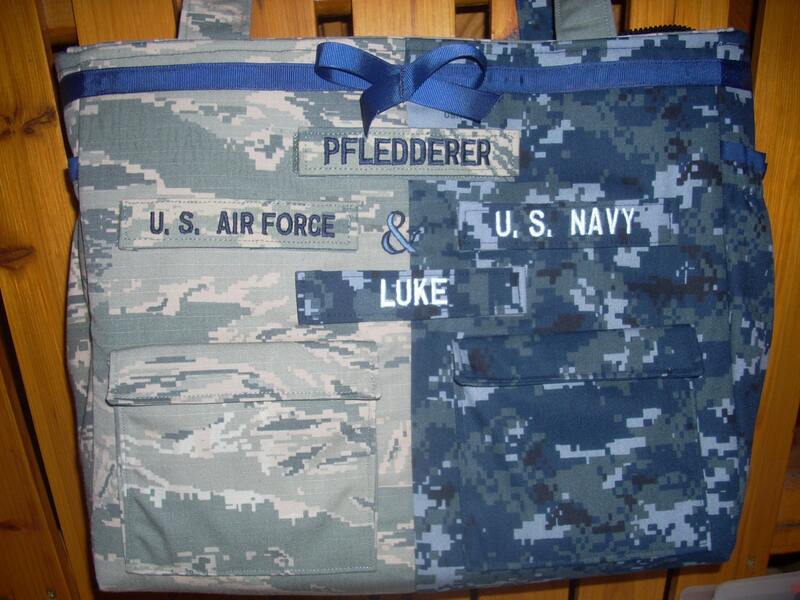 Some military families have two military branches in their family history. This bag is for you! Each half reflects a military branch. One may be Army and other side Air Force, as in photo. Or you can mix Navy, Desert Marine, Woodland Marine, multicam as you want. Whichever fabrics you choose, the side panels, zipper panels, straps and back of bag will be split accordingly. Bags are 17" across and 12" high and 5" deep. This sale is for customization above and beyond the average order!